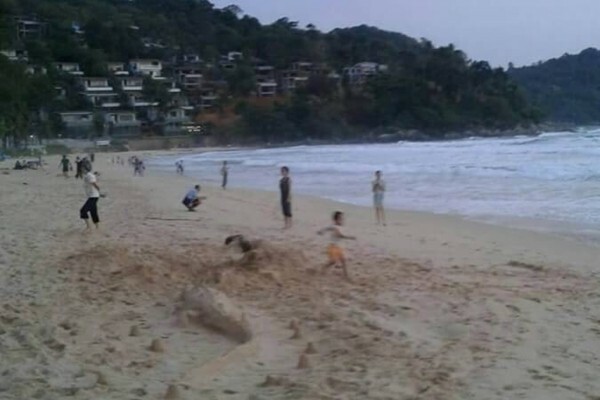 Our latest crocodile update reports that it was last seen his morning (July 23) off Tritrang Beach in Patong Bay. 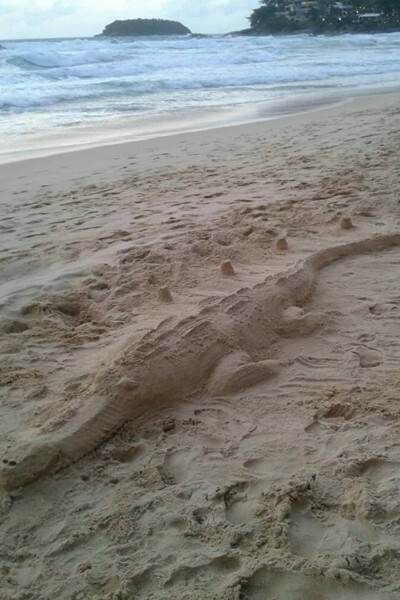 Locals say that they have spotted the crocodile of Tritrang Beach at 9.15am. 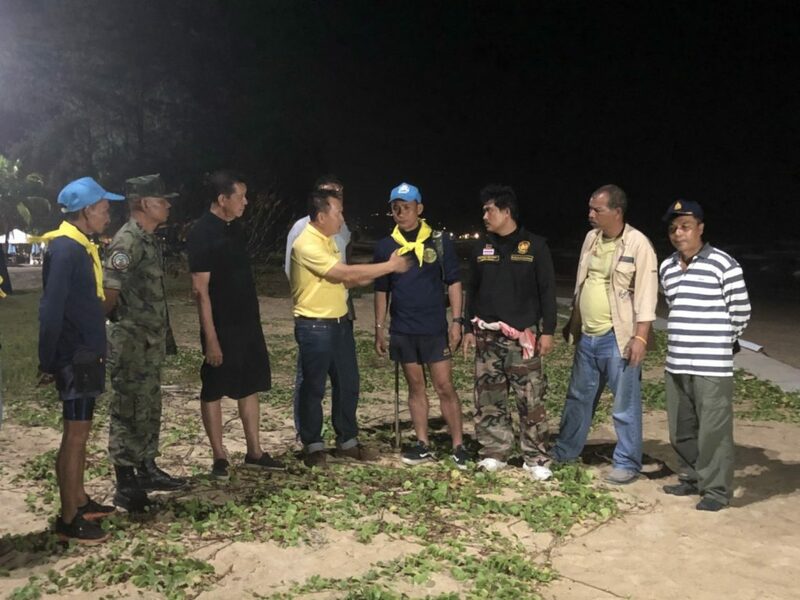 However beachgoers are being told not panic about the crocodile as authorities have many people patrolling the beaches from the shores and the skies as well as fishing boats trying to find the reptile. 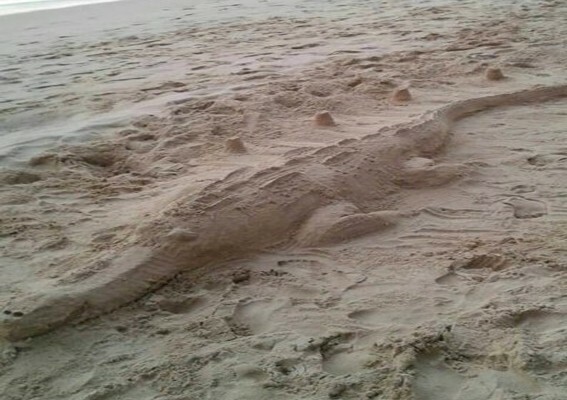 A sand crocodile was built on Kata Noi Beach where the crocodile was seen lying on the beach on Saturday morning (July 21).